In the early morning, dozens of beautiful catamarans dot the Bayahibe shoreline waiting to take anxious tourists to the stunning shores of Saona Island. 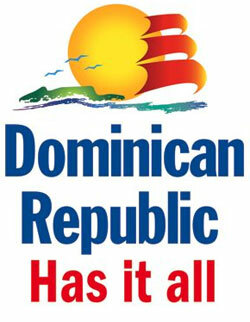 Most of these tourists come from Punta Cana but some stay at local Bahayibe hotels as well. As long as you are using a reputable tour operator you should be more than pleased with the quality of the catamarans cruising you out to or back from Isla Saona. Normally, Saona catamarans include all the necessary amenities for a comfortable and enjoyable day out on the Caribbean Sea. A large, covered dance area, animation team, beat pumping sound systems, bathrooms and a wide front net to soak up the sun and hover just above the water line as the cat moves steadily along. Open bar is normally the biggest draw on Saona Catamarans with dark, rich Dominican rum, beer, soda, juice and water. Saona Island Catamarans vary in size with some of the smallers cats fitting around 50 individuals and the larger ones holding some 100. For large groups, privatizing your own catamaran is no problem. If you are an individual or a small group, you will most likely be included with others on the catamaran portion of the excursion. This is sometime more fun than private! More often than not, the other individuals on the boat are there to have a good time. You can meet people from all over the world who may share your passion for travel and for finding the best Caribbean beaches like Saona Island. The catamaran ride is normally the highlight for everyone's Isla Saona trip. Even more so than the beach! The reason being is mostly because of the animation professionals. These are trained animation and dancing teams that really know how to get the party started and get you up and dance! Visitors always get a crash course in latin music dancing like merengue, salsa and the Dominican Republic's own homegrown sound of Bachata. And, with open bar, shyness seems to fade away for everyone. Whether your part of a private group or on the catamaran with strangers, we are more than confident that this party cruise on the Caribbean Sea will be one of the most memorable parts of your Saona Island excursion and entire experience in the Dominican Republic. Not all tours to Saona Island are sanctioned by the Ministry of Tourism. There are many non-licensed independent tour operators in the Dominican Republic selling substandard excursions to unsuspecting tourists. Located in the Caribbean Sea, Saona Island is a protected Nature Reserve and one of the most stunning location in the Dominican Republic. In this excursion we will set sail to Sanoa Island as we enjoy the breath taking views of the East National Park. During our sail, our staff will make sure you are having a great time as you dance to merengue. Upon arrival to Saona, you will have the day to relax and bathe in the crystalline waters while enjoying a delicious Dominican buffet. In the afternoon we will then depart by speedboats as we make our way to the "natural pool", famous for its abundance of starfish. Copyright © 2019 Caribbean Dream. All Rights Reserved.